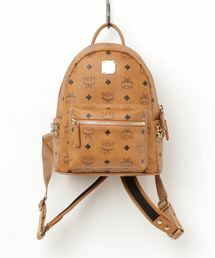 Originating in Germany, luxury leather brand MCM is now based in Korea. It's a fairly recent brand on the luxury leather goods scene, but beautifully showcases the craftsmanship of German leatherwork artisans, and has built a strong fan base around the world. MCM products are lovingly handmade, with a great deal of care going into every last detail. All items have a plate bearing a unique number, which can also be inscribed with initials by request. MCM leather luggage has developed a particularly strong reputation for combining modern sophisticated design, outstanding quality and real-world practicality. 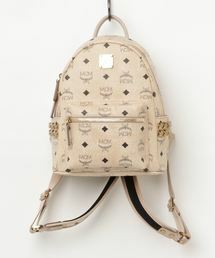 MCM is best known for designs that showcase their eye-catching logo. 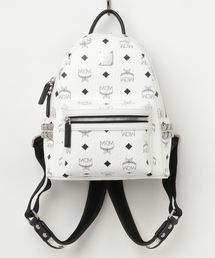 MCM was established by designer Michael Cromer in Germany in 1976, when he could not find a bag that met his specifications in Paris, and decided to design his own. MCM originally stood for Michael Cromer Munich. In 2005, the brand was acquired by the Korean Sungjoo Group, and the name was changed to Mode Creation Munich. Since 2005, the brand has won a dedicated fan base among Korean celebrities. MCM leather accessories perfectly combine luxury craftsmanship and high quality materials with more casual and wearable touches. The cornerstone item in their collection is the simple men's leather wallet. With a clean and simple design and traditional logo print, the MCM wallet suits any situation, from casual to formal. The high-end sheen to the finish satisfies a taste for the finer things, while offering ample storage to serve the practical needs of everyday use. Other than the classic fold wallet, the brand offers further leather accessories like money clips, zip wallets and more. 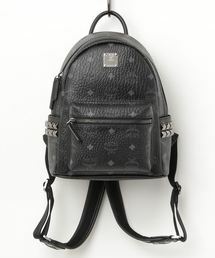 On the women's side, MCM excels at producing high-end handbags and shoulder bags. Frequent travelers also appreciate the brand's backpacks and Boston bags. Their delicate size and high-end quality makes shoulder bags a top seller for the brand. Discontinued designs are also popular, especially for connoisseurs who like to fill their wardrobe with rare, out-of-the-ordinary items. While delicately sized, MCM bags fit your wallet, phone and other everyday essentials.